Rotterdam is a city that is constantly reinventing and modernizing itself. The so called ‘gateway to Europe’ has moved beyond its tragic past and became an international, modern, architectural and cultural city. Resilience is one of its strongest characteristics. Now, it’s time for the next step. Rotterdam wants to become the national hotspot for healthcare innovation. We want to attract innovators to the area to improve healthcare in the region, support innovation and invest in local Dutch businesses. We want to put Rotterdam in healthcare the map. With the Health Innovation Challenge, we are inviting startups, SMEs and healthcare institutions to collaboratively find solutions to health challenges. This Challenge is composed of four smaller ones. The World Health Organization (WHO) defined human health in a broader sense in its 1948 constitution as “a state of complete physical, mental and social well-being and not merely the absence of disease or infirmity“. This is exactly what our Challenge is all about. The first two Challenges with Enver and Kinderplein are all about mental and social well-being. Enver is looking for innovators that can develop a software for a robot called Luna. The purpose of Luna is to aid families in raising their children and improve the relationship between parents and their kids. Kinderplein is a medical centre that provides healthcare for children and adolescents with learning problems, behavioral problems and developmental delay in a multidisciplinary team. And now they want to improve the way they streamline internal data and questionnaire processes. The next Challenges are about physical well-being. Dermahaven specializes in the field of general dermatology, skin cancer and inflammatory diseases. Together with Erasmus MC, they are looking for innovative connection platforms and solutions in the field of machine learning and data analysis that provide insights in the referral process of family physician (huisarts/GP) to specialists, and supports the learning ecosystem in the field of dermatology. And finally, no one is more worried about physical well-being than het Sportbedrijf. They exploit, maintain and support sports venues throughout the city, from gyms and sports halls to athletic tracks, hockey fields and swimming pools. To make sure that every resident of Rotterdam lives close to a good, clean and safe sports location, they need solutions in the field of virtual and augmented reality to make sports accommodations more modern. 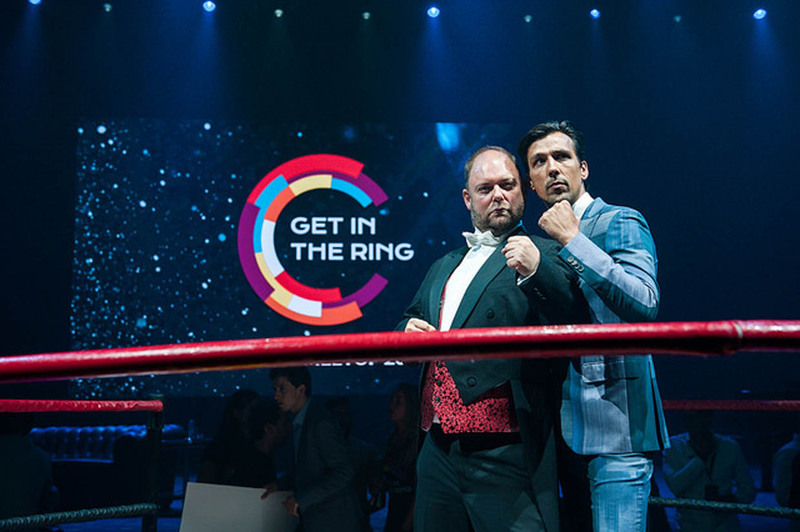 We at Get in the Ring are committed to the mission of making Rotterdam the national hub for healthcare. So join us in this ambitious plan and let’s build the city of the future together.